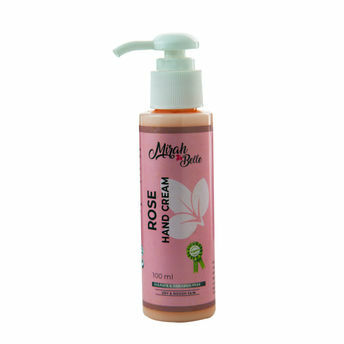 Say hello to soft hands with Mirah Belle Rose hand cream. This organic hand cream is a rich blend of soothing rose essential oil which works well for your dry and rough skin. It helps soften your hands by making it ultra-smooth and moisturized due to its emollient properties. A perfect treat for your hands, which restores the smoothness and keeps the skin looking youthful and glowing.